Over the years Cheadle Bowls Club has had great success across a number of leagues and competitions - below is a list of some of the clubs achievements both in terms of team and individual success. 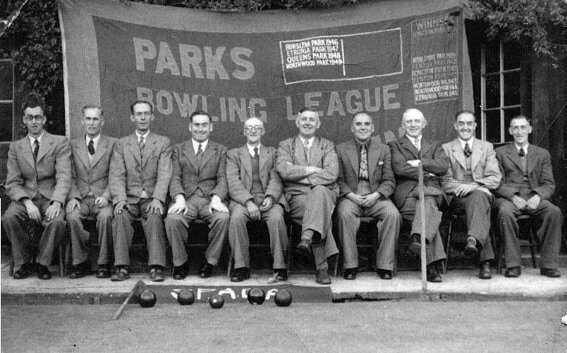 North Staffs Parks Sat.Champions 1950 Left to right : Verdum Woodward, D Orr-Lovatt, Sam West, Harold Colclough, Jim Hurst, Herbert Mosley, Leonard Holmes, Hector Mosley, Arthur Watkin and Ken Crook. 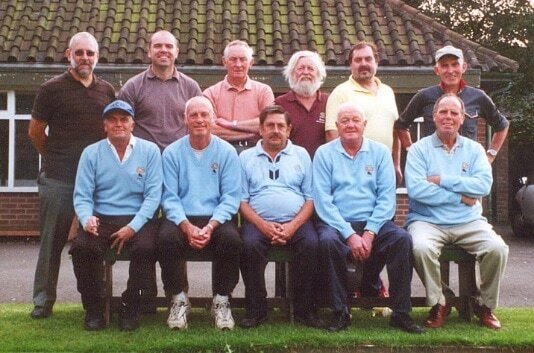 North Staffs Parks Sat.Champions 2002 Standing: Ian Wilcox, Aron Brown, Eric Woodward, Ivan Cope, Graham Smith, Arthur Gilbert, Sitting: Roy Brown, Dave Alkins, Mick Hall ( Captain ) Harry Smith and Baden Mills. 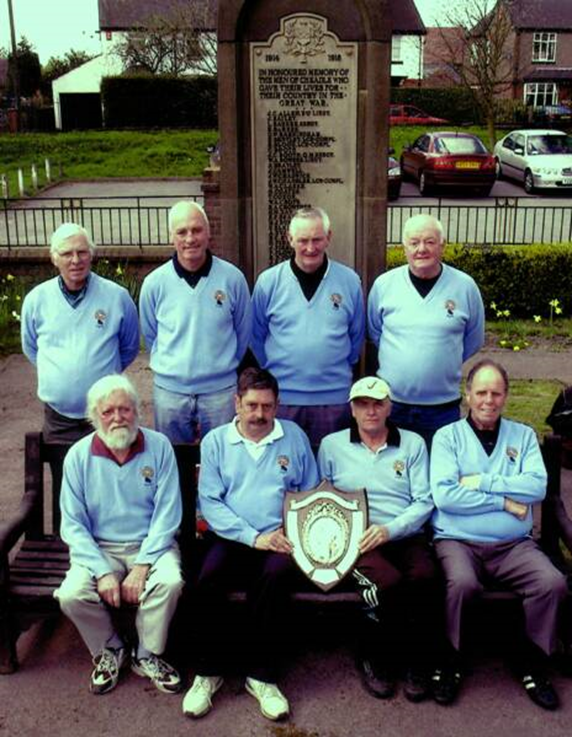 North Staffs Parks Sat.Champions 2005 Standing: John Astbury, Dave Alkins, Eric Woodward, Harry Smith, Sitting: Ivan CopeMick Hall (Captain), Roy Brown and Baden Mills.